Today my Hyundai Verna Fluidic 1.6 VTVT has turned two months old and it is delighting that so far the experience with this car has been pleasing in many aspects. I bought this car in February end from the Hyundai dealer in my city. Although, the variant which I posses is the Hyundai Verna Fluidic 1.6 VTVT base variant, but still it posses exciting features like AC, Power Windows, Power Steering, Music System, ABS, Central Locking and Driver Airbag. What more can you expect in a base variant. In addition, it has got the efficient 1.6 liter VTVT petrol engine that is really good in terms of power and acceleration. The petrol engine of this saloon delivers mileage of 12 – 14 kmpl. But, I found many minor technical problems in this car like the ABS feature is not at all good for sudden stopping. Moreover, you would experience noise coming from the brake pedal which is much needed to be improved. Though, I have visited dealer twice but nothing has improved so far. Besides this, I think that the quality of bumpers and fog lights is not the satisfactory one. The company could have added better quality bumpers and fog lights according to the sedan standards. Well, there are many good elements also available in new Hyundai Verna Fluidic. You will discover the entirely neat and soothing upholstery mated inside this car. AC is damn good and the power steering is also truly outstanding. There are front and rear cup-holders for the convenience and the pumping sound of the music system can make you grooving on streets. Added to this, this huge machine has got one of the largest boot space of 465 liters. Don’t worry you can store three large suitcases quite easily in the cargo volume. 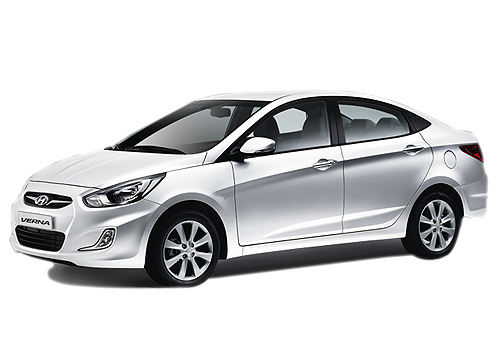 I like the looks and excellent features of Hyundai Verna.